In early 1992, the founders of Agile Access Control, Inc. (now Agile Fleet) developed a fleet management solution for managing a small fleet in San Jose, California. The management challenge for that first fleet wasn’t simply related to maintenance tasks; this fleet needed to share vehicles among drivers. Such a system just didn’t exist. Agile Fleet founders had no idea their initial effort for one small fleet would evolve into a product that has become FleetCommander today. FleetCommander is a comprehensive and robust web-based fleet and motor pool solution deployed in government, university, and commercial fleets. In 2017, Agile Access Control, Inc. shortened its name to Agile Fleet, and introduced new corporate and product logos. Agile Fleet President & CEO explains: "This was most definitely not just a name refresh and logo update. There are many forward-thinking changes happening within our products and company that the new name and logo reflect. FleetCommander has historically been known for its robust car sharing capabilities. However, FleetCommander is a very valuable tool for organizations that need a strong fleet management information system but don’t necessarily need to share. We like to think of the FleetCommander FMIS as the “engine” managing vehicles and drivers in all crucial areas of fleet management,” he says. Today, Agile Fleet clients have fleets and motor pools ranging in size from 25 vehicles up to thousands of vehicles. Agile Fleet has grown to prominence in the fleet market space by focusing on optimizing the use of fleet vehicles and fleet staff. Our clients share and manage more than 25,000 vehicles using FleetCommander every day. Our metrics-based approach to fleet right-sizing and management results in savings across every type of fleet. And, we are able to reduce costs while increasing driver satisfaction. Despite our successes over the years, we're not done yet. Our staff continuously works to enhance our product offering to further increase its value to our customers; the needs of our fleet manager customers are always paramount in everything we do. Agile Fleet's people-centric corporate philosophy extends beyond product development and implementation however. We also believe in giving back to the communities around us as well. We do so in our annual “Agile Fleet Gives Back” campaign in which we contribute to worthy organizations such as volunteering annually at a Habitat for Humanity build project, donating funds to support the Wounded Warrior Project, providing needed supplies to The Fisher House Veteran’s Affairs Hospital’s Home-Away-From-Home facilities, and through frequent donations to local blood banks. Ed Smith is a subject matter expert in fleet management and fleet right-sizing, with extensive program management and systems engineering experience in the fleet industry. Having led the implementation of numerous complex fleet and motor pool automation projects, Mr. Smith specializes in the analysis of vehicle utilization data for accurate planning and execution of car sharing and right-sizing initiatives. Mr. Smith has been a featured speaker at numerous fleet industry events, and is frequently quoted in Government Fleet Magazine and FleetSolutions Magazine on right-sizing and other fleet-related topics. 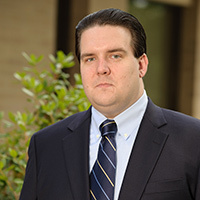 Matt Wade has more than 16 years of experience working with fleets within higher education, government, and utilities, as well as within non-profit organizations and the private sector. He has personally been involved with the deployment of our enterprise solutions for fleet and motor pool operations ranging in size from a few dozen vehicles to thousands of vehicles. 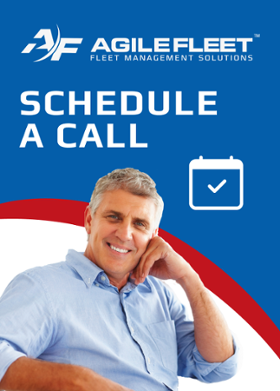 He is very familiar with the challenges faced by fleets, and specializes in helping clients get the most benefit from the FleetCommander fleet management information system. His efforts to ensure the success of our clients have contributed to Agile Fleet's higher than 98% client retention rate. 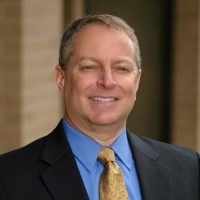 Ron Katz is the Senior Director of National Accounts for Agile Fleet. 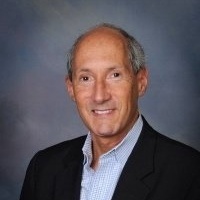 Formerly Senior Vice President for Chevin Fleet Solutions, Mr. Katz has more than 35 years of experience delivering fleet and maintenance management solutions within complex fleet organizations. In particular, Ron has a formidable background assisting in the implementation and management of fleet and maintenance improvement practices. Throughout his career, Mr. Katz has presented the benefits of improved asset utilization, life cycle metrics, and enhanced fleet management practices in diverse industries. Mr. Katz is a long-standing and active member of many national and regional fleet organizations, including serving as a board member for the National Conference of State Fleet Administrators (NCSFA), and as a member of the National Association of Fleet Administrators (NAFA), and the Automotive Fleet Leasing Association (AFLA). “Helping organizations with complex fleet management challenges to find innovative solutions has always been the most gratifying part of my career. I'm thrilled to be part of the Agile Fleet team because I will be able to bring real value to fleet organizations via leading-edge technologies and solutions and help transform the way they manage their fleets." 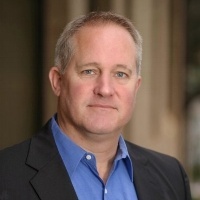 Dan Fitzpatrick brings nearly 20 years of demonstrated success at all levels of sales and sales leadership, with more than half of his career in business software sales. 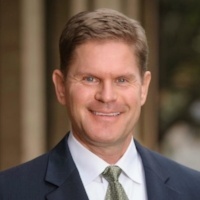 Mr. Fitzpatrick specializes in consultative-style selling, in which he spends time with customers to understand the problem they are trying to solve and recommends solutions that will specifically address that problem. 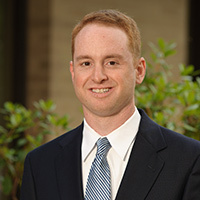 Mr. Fitzpatrick holds a Bachelor of Applied Science in Marketing from the University of Maryland. 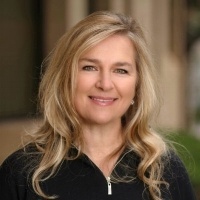 Sharon Sutton is an senior-level marketing and communications executive with experience working in a variety of industries, including automotive fleet, technology, culinary, and the trade association and non-profit sectors. Ms. Sutton is skilled in content marketing, marketing automation, lead generation, business development, strategic planning, thought leadership, PR, strategic communications, customer communications, and marketing strategy. She holds a Bachelor of Arts (B.A.) in Communication and Media Studies from Virginia Tech. Since joining Agile in 2011, Ms. Sutton has taken the company from having just a few short pieces of sales collateral to having a multi-channel marketing and communications program aimed at helping educate fleet managers about fleet right sizing, fleet automation, policy enforcement, and many other fleet management topics. Initiatives led by Ms. Sutton have resulted in sales lead growth of 40% or higher year over year since 2015, and continue on that path into 2018. Phil Groff has more than 14 years of technical experience automating motor pool operations on an enterprise level. He is skilled at identifying high-level requirements within fleet environments, including normalizing data and processes across disparate sites, and overseeing the technical transition to an automated solution. He has personally been involved with the automation of more than 50 motor pools. Mr. Groff is extremely adept at system design and development, network administration, system administration, and security. Phelps Rogovoy utilizes his extensive program management, implementation, and training experience in the fleet industry to ensure the success of implementing automated fleet and motor pool projects. He is an expert in the functionality of FleetCommander, which is key to helping customers be successful. He and his staff have managed the deployment of dozens of motor pool projects while supporting customers on a daily basis with everything from simple support questions to full-scale training and implementation.